Vitiligo.Clinic’s Oral Supplement supports the body’s natural anti-inflammatory processes. Helps relieve nervous tension, stress & mild anxiety. Vitiligo.Clinic PSC 100, oral tablets are registered with the Therapeutic Goods Administration (TGA) of Australia. The TGA is the equivalent of the FDA. Supports healthy skin regenerative processes. Supports the body’s natural anti-inflammatory processes. Contains antioxidant nutrients and therefore may assist in protecting the cells in the body from oxidative damage. Selenium is an important part of the enzyme glutathione peroxidise, and therefore is involved in the body’s antioxidant systems. Selenium is a necessary component of the enzyme glutathione peroxidise, which neutralizes free radicals. Selenium supports the health and function of the immune system. Supports the health of the liver and assists in protecting the liver from potential oxidative damage. Anti-inflammatory, anti-oxidant, immune stimulating, reduces physiological effects of stress, anti-anxiety, relieves nervous tension. All ingredients are listed in alphabetical order. 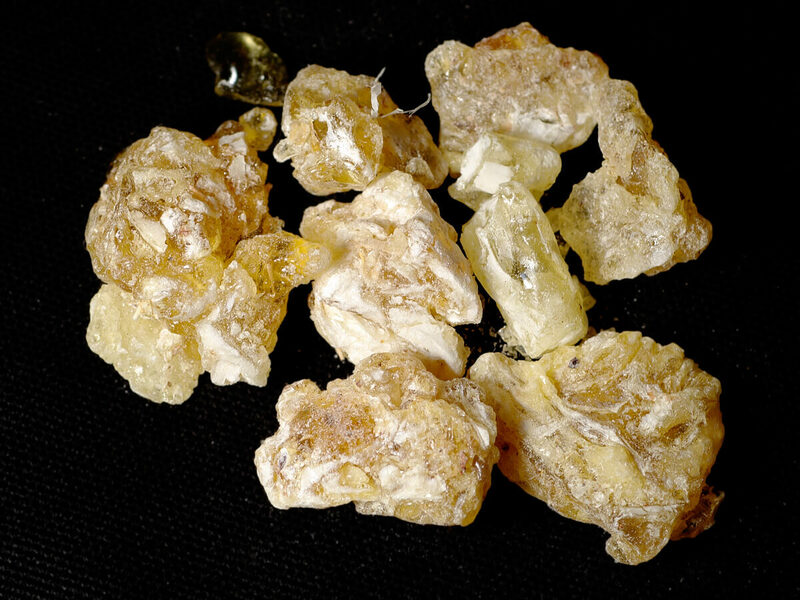 Frankincense contains boswellic acid as a one of chemical constituent. Boswellic acid is a triterpenoid having steroid-like structure. It has been reported that boswellic acid has effects on both the humoral and cell-mediated immunity. Boswellia serrata has been demonstrated to be a potent anti-inflammatory drug in in-vivo animal models as well as in clinical studies. Boswellic acid is specific, a non-redox inhibitor of 5-lipoxygenase and hence inhibit leukotriene biosynthesis in a dose-dependent manner. It also reported to decreases the pro-inflammatory 5-lipoxygenase products including 5-hydroxyeicosatetraenoic acid and leukotriene B4 levels, which is the active chemotactic factors causing increased vascular permeability. Hence, a lesser number of the white blood cell recruited to the site of inflammation, thus dampening the inflammatory response, which leads to faster healing by treatment of boswellic acid. Boswellic acid decreases polymorphonuclear leukocyte infiltration and migration, decreases primary antibody synthesis and causes almost total inhibition of classical complement pathway. Calcium Ascorbate Dihydrate is a form of vitamin C. Inside our bodies, vitamin C functions as an essential cofactor in numerous enzymatic reactions, e.g., in the biosynthesis of collagen, carnitine, and catecholamines, and as a potent antioxidant. Even in small amounts vitamin C can protect indispensable molecules in the body, such as proteins, lipids (fats), carbohydrates, and nucleic acids (DNA and RNA), from damage by free radicals and reactive oxygen species (ROS) that are generated during normal metabolism, by active immune cells, and through exposure to toxins and pollutants (e.g., certain chemotherapy drugs and cigarette smoke). Vitamin C also participates in redox recycling of other important antioxidants; for example, vitamin C is known to regenerate vitamin E from its oxidized form. Khalid Rahman; Studies on free radicals, antioxidants, and co-factors; Clin Interv Aging. Jun 2007; 2(2): 219–236. A critical class of glycosaminoglycans required for the formation of proteoglycans found in joint cartilage. Tumeric inhibits joint inflammation and periarticular joint destruction in a dose-dependent manner. In vivo treatment prevented local activation of NF-kappaB and the subsequent expression of NF-kappaB-regulated genes mediating joint inflammation and destruction, including chemokines, cyclooxygenase 2, and RANKL. Inflammatory cell influx, joint levels of prostaglandin E(2), and periarticular osteoclast formation are inhibited by turmeric extract treatment. Curcumin has antioxidant, anti-inflammatory, antiviral and antifungal actions. Studies have shown that curcumin is not toxic to humans. Curcumin exerts anti-inflammatory activity by inhibition of a number of different molecules that play an important role in inflammation. Oral administration of curcumin in instances of acute inflammation was found to be as effective as cortisone or phenylbutazone, and one-half as effective in cases of chronic inflammation. Curcumin can bind with heavy metals such as cadmium and lead, thereby reducing the toxicity of these heavy metals. This property of curcumin explains its protective action to the brain. Curcumin acts as an inhibitor for cyclooxygenase, 5-lipoxygenase and glutathione S-transferase. Funk JL et al. 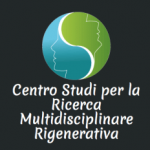 ; Efficacy and mechanism of action of turmeric supplements in the treatment of experimental arthritis. ; Arthritis Rheum. 2006 Nov;54(11):3452-64. The biological effects of Alpha Tocopheryl that are potentially antiatherogenic appear to be mediated either by a classic antioxidant effect (decreasing LDL oxidation) or by its inhibition of PKC (inhibiting smooth muscle cell proliferation and platelet aggregation and ameliorating diabetic microvascular complications). Alpha Tocopheryl inhibits the release of the proinflammatory, proatherogenic cytokine, IL-1β, in activated human monocytes, by inhibition of 5-LO. Thus, in addition to its well-documented effect on decreasing the oxidation of LDL, Alpha Tocopheryl has inhibitory effects on important enzymes, such as PKC and 5-LO, in critical cells in atherogenesis, which could also be antiatherogenic. An organic sulfur-containing compound that occurs naturally in a variety of fruits, vegetables, grains, and animals. MSM has been proven to have anti-inflammatory and antioxidant mechanisms. Formed in the body as glucosamine 6-phosphate (G6-P), it is the most fundamental building block required for the biosynthesis of the classes of compounds, such as glycolipids, glycoproteins, glycosaminoglycans (formerly called mucopolysaccharides), hyaluronate and proteoglycans, requiring amino sugars. Because it is a component of all these compounds, it is an essential component of cell membranes and cell surface proteins as well as interstitial structural molecules that hold cells together. Directly or indirectly, glucosamine plays a role in the formation of articular surfaces, tendons, ligaments, synovial fluid, skin, bone, nails, heart valves, blood vessels, and mucus secretions of the digestive, respiratory, and urinary tracts. Glutamine is an important energy source and has been used as a supplementary energy substrate. Furthermore, Gln is an essential component for numerous metabolic functions, including acid-base homeostasis, gluconeogenesis, nitrogen transport and synthesis of proteins and nucleic acids. Therefore, glutamine plays a significant role in cell homeostasis and organ metabolism. Gln may protect cells, tissues, and whole organisms from stress and injury through the following mechanisms: attenuation of NF (nuclear factor)-kB activation, a balance between pro- and anti-inflammatory cytokines. 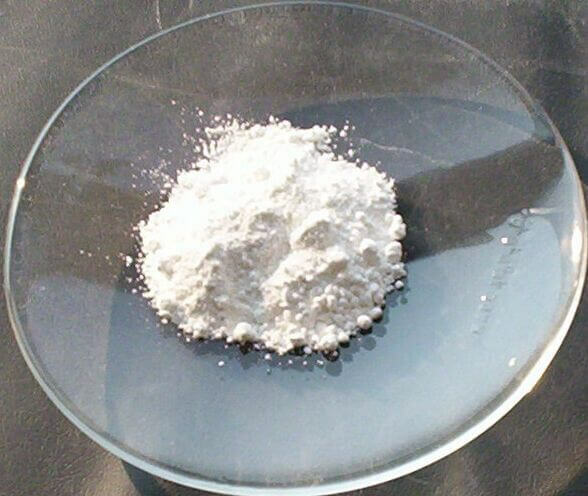 Inositol has been identified as an important dietary and cellular constituent. Biochemical functions of phosphoinositol (PI) in cell membranes include regulation of cellular responses to external stimuli as well as mediation of enzyme activity. Inositol has been reported to be effective in treating central nervous system disorders such as depression, panic disorder, and obsessive-compulsive disorder. Magnesium, an abundant mineral in the body, is naturally present in many foods, added to other food products, and as a dietary supplement. Magnesium is a cofactor in more than 300 enzyme systems that regulate diverse biochemical reactions in the body, including protein synthesis, muscle and nerve function, blood glucose control, and blood pressure regulation. Magnesium is required for energy production, oxidative phosphorylation and glycolysis. It contributes to the structural development of bone and is required for the synthesis of DNA, RNA and the antioxidant glutathione. Magnesium also plays a role in the active transport of calcium and potassium ions across cell membranes, a process that is important to nerve impulse conduction, muscle contraction, and normal heart rhythm. 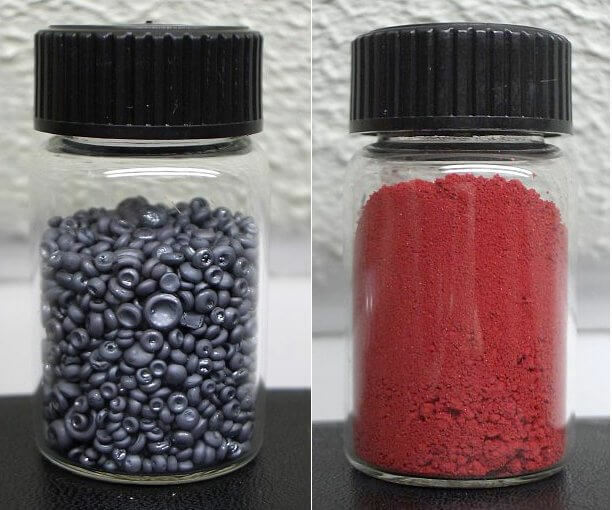 Manganese – an essential trace element. It functions as an enzyme activator and is a constituent of several enzymes (e.g. glycosyl transferases, pyruvate carboxylase, manganese superoxide dismutase). Primary signs of manganese deficiency are impaired growth, skeletal abnormalities, depressed reproductive function and faults in lipid and carbohydrate metabolism. Niacinamide acts as an antioxidant by preventing NAD depletion during DNA repair by inhibiting poly (ADP-ribose) polymerase (PARP), which also modulates major histocompatibility complex (MHC) class II expression. Niacinamide inhibits free radical formation and facilitates beta-cell regeneration in vivo and in vitro. Additional protection from macrophage toxins may be involved in prevention of type 1 diabetes. Specifically, niacinamide has been shown, via PARP inhibition, to protect pancreatic islet-cell lysis after exposure to oxygen free radicals and nitric oxide. Niacinamide has also been found to stimulate GABA receptors, without binding to the receptor sites, thus creating a benzodiazepine-like effect. Anti-inflammatory action affecting neutrophil chemotaxis has been reported for niacinamide. Additionally, due to its inhibition of ADP-ribosylation, niacinamide has been shown to suppress cytokine-mediated induction of nitric oxide synthase in a number of cells, thus effecting interleukin-1-exposed chondrocytes, resulting in decreased inflammation. This is a biologically essential amino acid that acts as a precursor to tyrosine and the catecholamines (epinephrine, norepinephrine, dopamine, and tyramine), and is a constituent of many central nervous system neuropeptides. As a clinically important amino acid, phenylalanine has been used to treat endogenous depression and attention deficit disorder, and as a potentiator of opiate analgesia in chronic pain. A trace element that is naturally present in many foods added to others, and available as a dietary supplement. Selenium, which is nutritionally essential for humans, is a constituent of more than two dozen selenoproteins that play critical roles in reproduction, thyroid hormone metabolism, DNA synthesis, and protection from oxidative damage and infection. A number of medicinal plants are known to have anti-inflammatory activity. Recently some light has been thrown on steroid-like compounds present in a number of medicinal plants. 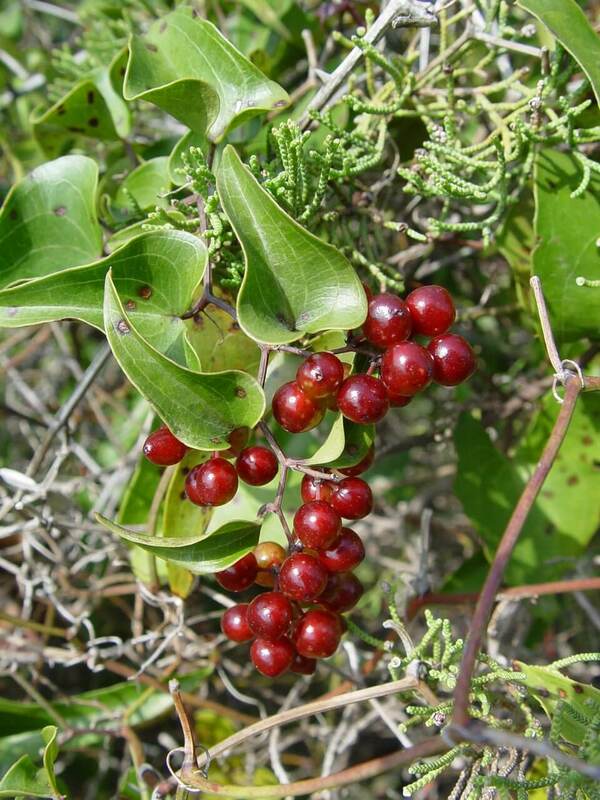 Plants containing chemical constituents having steroidal structure include Smilax Officinalis which have been shown to be anti-inflammatory agents by modern clinical and pre-clinical studies. A powerful regulator of the immune system. Taurine has been shown to downregulate the production of proinflammatory mediators in human leukocytes. Taurine inhibits the activation of NFκB, a potent signal transducer for inflammatory cytokines, by oxidation of IkαB α at methionine. An essential mineral that is naturally present in some foods, added to others, and available as a dietary supplement. Zinc is involved in numerous aspects of cellular metabolism. It is required for the catalytic activity of approximately 100 enzymes and it plays a role in immune function, protein synthesis, wound healing, DNA synthesis and cell division. Zinc may further contribute, as deficiencies in the Zn-α2-Glycoprotein (ZAG) have been reported in people with vitiligo. ZAG is involved in melanocyte proliferation and maturation, with decreased ZAG levels leading to melanocyte detachment. Additionally, treatment with topical corticosteroids, which causes repigmentation, has the ability to increase ZAG activity. Finally, ZAG has been linked to chromosome 7, which contains mutations in certain patients with generalized vitiligo. This theory has provided an additional basis for the study of Zn supplementation in patients with vitiligo. Previous studies, such as that by Shameer et al., evaluated serum Zn levels in vitiligo patients, and found a significant relationship between low Zn levels and patients with the disease compared to controls. A meta-analysis of Chinese vitiligo patients by Zeng et al. further explored the relationship between both Zn and Cu levels in this population of patients. Serum Cu and Zn were compared between the control and vitiligo patients, with vitiligo patients having significantly lower serum levels of both Cu and Zn compared to controls. Ginger has been found to inhibit prostaglandin biosynthesis and interfere with the inflammatory cascade and the vanilloid nociceptor. Ginger has been shown to share pharmacological properties with non-steroidal anti-inflammatory drugs (NSAIDs) because it suppresses prostaglandin synthesis through the inhibition of cyclooxygenase-1 and cyclooxygenase-2. However, ginger can be distinguished from NSAIDs based on its ability to suppress leukotriene biosynthesis by inhibiting 5-lipoxygenase. 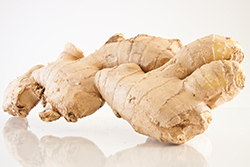 It was also discovered that a ginger extract (EV.EXT.77) derived from Zingiber officinale (and Alpina galanga) inhibits the induction of several genes involved in the inflammatory response, including genes encoding cytokines, chemokines, and the inducible enzyme cyclooxygenase-2. Vitiligo.Clinic PSC 100 is in caplet form with a centre break bar. The outer coating is clear and the inner ingredients are mottled beige in colour. Receive your personalised treatment plan and access to practitioner products.